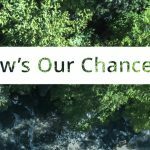 Take climate action by supporting Sierra Club BC’s campaign to protect Vancouver Island’s carbon-rich old-growth rainforest! Travel—especially by air—burns a lot of carbon dioxide. Are you heading off on holidays soon? Have you considered buying carbon credits to offset some of your emissions? Carbon offsets run the gamut from good to bad. Credible offsets can contribute to climate solutions – if they are combined with concrete steps to reduce emissions. Unfortunately there are many examples of dubious projects, making it important to verify whether standards are met. As an alternative to buying carbon offsets, consider supporting Sierra Club BC’s work toward lasting protection of Vancouver Island’s carbon-rich endangered old-growth rainforest. Wood waste from a clear cut. Photo by TJ Watt. BC’s old-growth rainforests store up to 1,000 tonnes of carbon per hectare, one of the highest rates on earth. They’re like a carbon bank, accumulating carbon in soil, trees and organic matter over millennia. Reducing emissions by avoiding logging of this old-growth has immediate benefits for the climate. Sadly, about half of the carbon stored in these ecosystems gets released in clearcut logging. 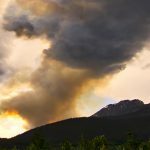 This is often combined with slash burning, an egregious practice that releases millions of tonnes of greenhouse gases annually and must be phased out. It can take centuries until the biomass reaches previous levels—time we don’t have. While improving forest management will help in the fight against climate change, the most urgent step is to simply leave carbon-rich and resilient forests alive and standing. This is why Sierra Club BC is working so hard to protect ancient forests. By becoming a member of Sierra Club BC, you can help protect British Columbia’s forests and our climate. 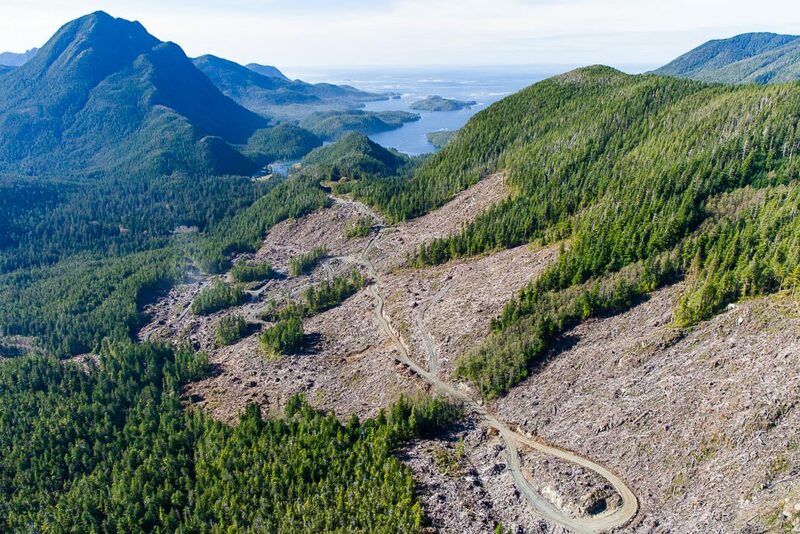 In BC, Vancouver Island is Ground Zero for logging of endangered old-growth rainforest. A recent Sierra Club BC analysis showed that destruction of the Island’s original old-growth rainforest is occurring three times faster than primary forest loss in tropical rainforests. 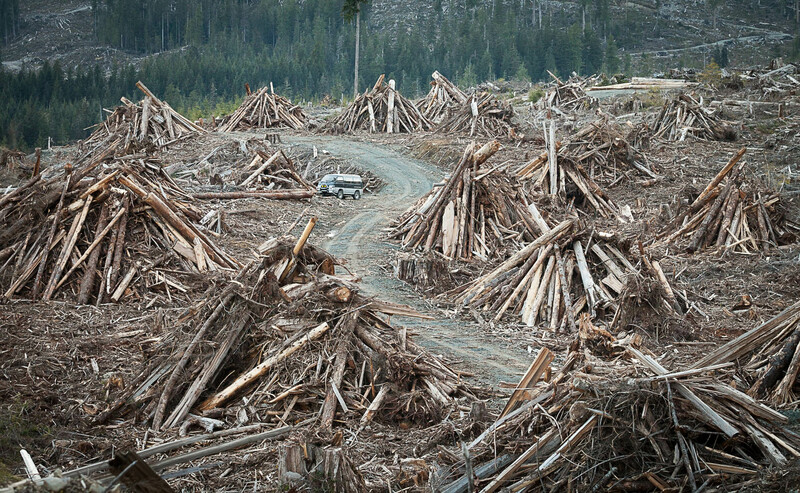 Clear cut logging in East Creek, Vancouver Island. Photo by TJ Watt. Globally, the loss of primary forests – characterized by ecological processes largely undisturbed by human activity – is threatening species, carbon storage and environmental services. In some countries this is primarily in the form of deforestation; in other countries such as Canada, this is primarily through the replacement of rich ancient forests with even-aged young forest. Sierra Club BC’s data shows that between 1990 and 2015, Vancouver Island’s primary old-growth forest has declined by thirty per cent. (Three times higher than the ten percent decline for primary forests of tropical countries over the same time period.) Only about ten percent of the biggest trees remain standing. In the last few years the annual old-growth logging rate was 9,000 hectares per year or twenty-five hectares a day. We have estimated the impact of one year’s worth of old-growth logging on Vancouver Island on our climate. We found old-growth logging on the Island alone essentially eliminated BC’s progress in reducing carbon emissions in the same year, releasing approximately 3 million tonnes of carbon dioxide into the atmosphere and nullifying the province’s progress in reducing annual emissions by the same amount. The 2016 Great Bear Rainforest Agreements show that solutions are possible. The agreements met science-based conservation levels, strengthened First Nations rights, enabled conservation financing and forest carbon credit projects, and gave forestry companies certainty for logging under stringent standards. The Great Bear Rainforest carbon project documentation showed that the reduced rate of logging is resulting in 600,000 tonnes of carbon emissions reductions annually, benefiting the region’s First Nations with revenue from carbon. The Great Bear Rainforest lies within a particularly rich region of the province – and North America – for carbon retention. 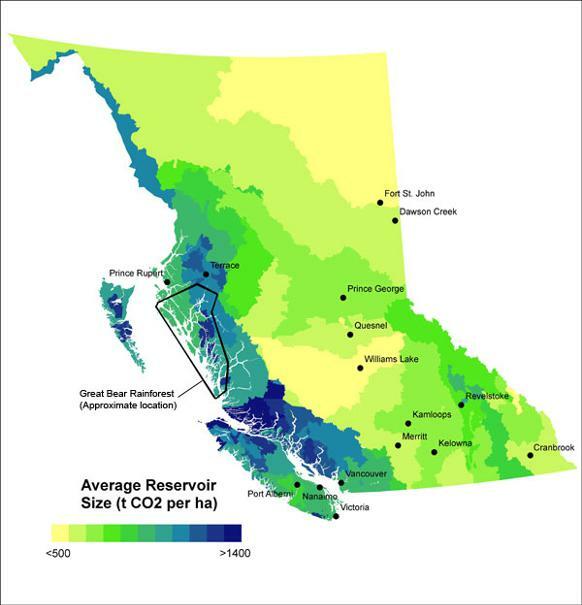 Map source: BC Ministry of Environment. New protected areas and conservation measures for Vancouver Island must respect First Nations rights and interests, enable a transition to sustainable second-growth forestry and support diverse economic activities such as tourism and reduce carbon emissions. The Ahousaht Nation in Clayoquot Sound is leading the way in demonstrating alternatives to old-growth logging, with their land use vision that includes an end to industrial logging in their territory. Sierra Club BC mapping shows approximately 1.5 million hectares of remaining old-growth forest on Vancouver IsIand and the South Coast area that are currently unprotected. Within this area, there are 600,000 hectares of relatively productive stands, with significant carbon storagecapacity and a higher likelihood of getting targeted for logging. These forests alone store the equivalent of thirteen times BC’s annual emissions. Sierra Club BC will work with the new BC government, First Nations and the forestry sector to increase protection of ecosystems with high carbon and species habitat value, in particular temperate rainforests, as a key element in its response to global warming. Old-growth rainforest is more resilient than younger forest, and BC’s ecosystems and species habitat are shifting rapidly in a changing climate. That’s why ecologists consider the remaining old-growth a “non-renewable” resource. We will only get there with your support. We cannot tell you exactly how many tonnes of carbon will remain stored in ancient trees as a result of our work, instead of getting chopped and partly burned in slash piles. But we can assure you that our role has been and will continue to be critical to ensure progress for new protected areas and our climate. Please consider supporting Sierra Club BC’s work toward lasting protection of Vancouver Island’s carbon-rich endangered old-growth rainforest. You can do this by becoming a member of Sierra Club BC. The best way to support our work is with a monthly contribution of $8, $15 or $25. Feature image by Andrew S. Wright. The original extent of old-growth rainforest on Vancouver Island was 2,600,000 hectares, of which anestimated 1,082,000 hectares were remaining by 1990. By 2015 the remaining old-growth was reduced to 748,000 hectares, adecline of 30 percent over the course of just 25 years. According to the Food and Agriculture Organization of the United Nations, tropical countries showed an overall decline of 10 percent of their primary forest in the last 25 years (from 1990 to 2015).